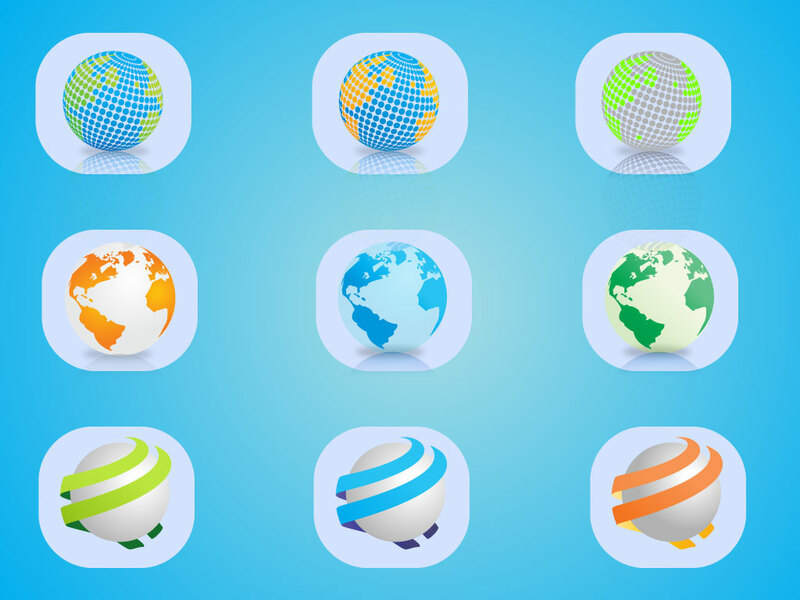 Download this set of modern Web 2.0 style globes and icons for your designs. Perfect icons for buttons, logos, symbols for your branding and website and blog designs. Download for your travel, communication and corporate branding needs. Tags: Earth, Globe, Icon, Networking, Reflection, Travel Communication, World.